Made as a homage to the excellent Gears of War series of Games for the Xbox 360 and PC. All relevant copyrights are Epic Games, Microsoft etc. Free for personal, non-profit use. Commercial use requires a license. See included readme/PDF files in the archive with this font. 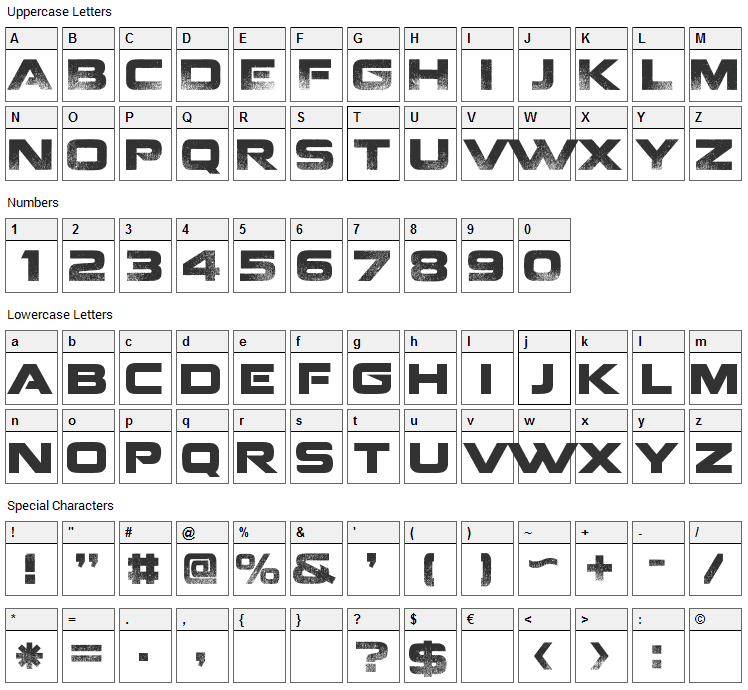 Coalition font contains 164 defined characters and 164 unique glyphs. 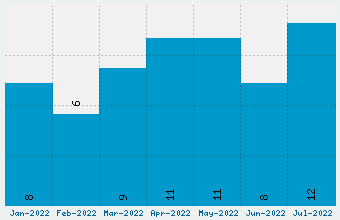 The font contains characters from the following unicode character ranges: Basic Latin (90), Latin-1 Supplement (63), Latin Extended-A (2), Spacing Modifier Letters (2), General Punctuation (4), Currency Symbols (1), Letterlike Symbols (1). 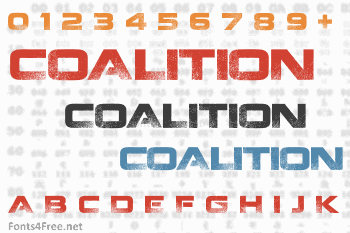 Coalition is a fancy, eroded font designed by TracerTong. The font is licensed as Donationware. The font is free for personel usage. A small payment is optional and always appreciated. In doubt please refer to the readme file in the font package or contact the designer directly from tracertong.co.uk.